I'm in my 19th year working with the human side of business. Within that duration of time and exposure to a variety companies, you'd think nothing related to human resource or talent managment would surprise me. But still, there is. One of the most significant relates to leadership development. For years now, the same ineffective approaches and practices have been and still are being used. Millions of dollars are wasted each year on leadership training and initiatives that over the long term garner little substantial or sustainable results. Here's what you'll notice, I've shared just a few stats ranging from 1998 to 2016 and they pretty much give the same report. Rarely have I seen stats that rock progress and effectiveness. If you're in any related industry to leadership development -- think about that for a moment. And yet, if you ask any leader from just about any organization, they will tell you that leadership development is an imperative for growth and competitiveness. Leadership Development is believed to be a main driver for ensuring delivery of business results (43%) and business growth (20%). Nearly half of respondents (44%) characterize leadership development in their organization as poor, and more than half (54%) describe it as ineffective. A majority (56%) believe support from top management to be a critical success factor for ensuring effective leadership development within organizations. 29% of respondents are not aware of their organization having any kind of leadership coaching or mentoring program. What does all this mean? I'd love to hear your conclusions, please leave your comments below. 1. Leadership development needs to be seen as a foundational, non-negotiable element to business building. Right now it's not. It's seen primarily as "training and development" -- a good thing to do - not as an essential business function. Leadership development is business building. 2. Leadership training and development needs to be seen and treated as installing and reinforcing a piece of business infrastructure. It's the human framework of effective business operations. Here's how Infrastructure is defined: An underlying base or foundation especially for an organization or system. Leadership development is installing operational infrastructure. 3. Building that infrastructure is seen as a permanent strategic need and function which requires continuous investment. For most, it's currently seen as periodic, and as a cost vs. an investment. Leadership development is a permanent function requiring continuous investment. Consider how common it is for a company to identify pre-promotion candidates and then say, "Now, let's get them some leadership training and development." Unless decision-makers see leadership development in these 3 ways, it will continue to be used and treated as an optional, secondary activity ("when it can be afforded") and not given it's rightful place as a core business function that supports operational success. Additionally, many (and I dare say most) of the employee performance challenges many companies experience are the result of not having an active, successful leadership infrastructure in place. Employee performance is not at its best unless strong, secure, clearly defined leadership is in place. Where many HR & talent mangment professionals think an employee engagment initiative may be needed. What most likely is needed is the installation of an effective leadership infrastructure -- very few companies have one. IMPORTANT NOTE: If you're a decision-maker, a final note regarding continuity and consistency: Years ago when I delivered leadership/management workshops for a seminar company, I came to realize how many different leadership messages managers received depending on the speaker of the day. I'd get to hear what was taught at the last "training" that in my view was appauling. I would think to myself, "If I were the leader of this company, I would not want my staff to follow this type of leadership information. As a leader, I would want my leadership philosophies to be promoted, to have a reliably consistent leadership culture." As leaders, if you don't define your own leadership standards or engage someone whose material you've vetted to mirror yours - you confuse your leaders, which confuses your employees and greatly diminishes effectiveness. In truth, most companies practice buffet leadership in which leaders can select and practice their own. This practice is additionally promoted through the variety of speakers and competing management/leadership workshops offered touting their brand of what works. This approach to leadership training communicates to the leader, "Whatever leader you want to be is fine by us because at this point, we've not made it a priority to offer and hold you accountable to our branded leadership standard because we don't have one." And thus, a potpourri leadership culture prevails...and sometimes, it's not a pleasant smell. => Recommended action item - Assess your leadership development. 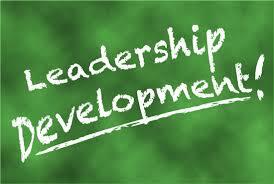 How do you currently view your leadership training and development?.. overall company attitudes? Is the content consistent and relevant to specific business needs? Is it robust enough that it is provides a core leadership standard, culture and infrastructure? Does it incorporate performance accountability? Is it evolving because it is tied to business strategy/objectives? Is it one time or developmental? Has every manager and leader gone through it so that at least everyone has heard the same principles, philosophies, values, etc.? Is ongoing execution of development initiatives built into the overall spending plan? I know these questions will help as these are my initial questions in meeting with potential clients. They are eye-opening. The Human Sphere is a business growth, talent management consultancy that partners w/ senior leaders to bridge the gap between people, performance, and profits. | Learn more here.